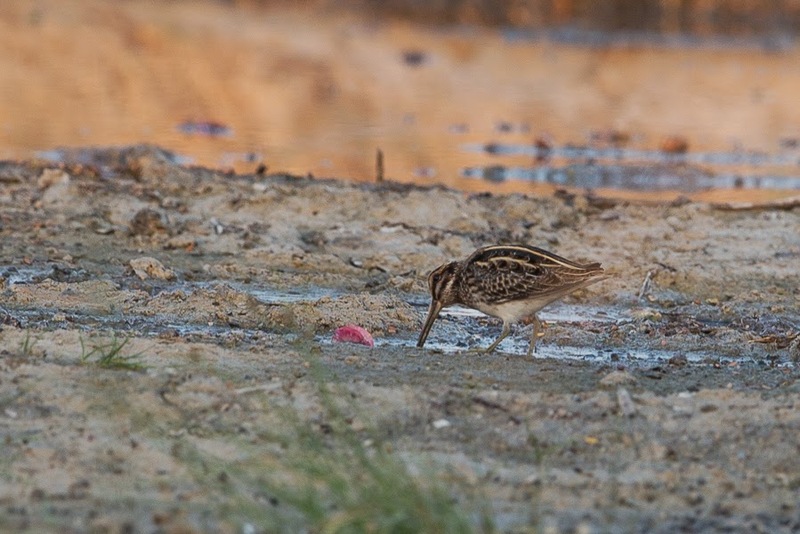 Whilst birding the ‘patch’ 12 November I came across a Jack Snipe Lymnocryptes minimus. This is an unusual but annual occurrence in the area but normally they are flushed from the long grass of the wet spray fields in mid-winter. 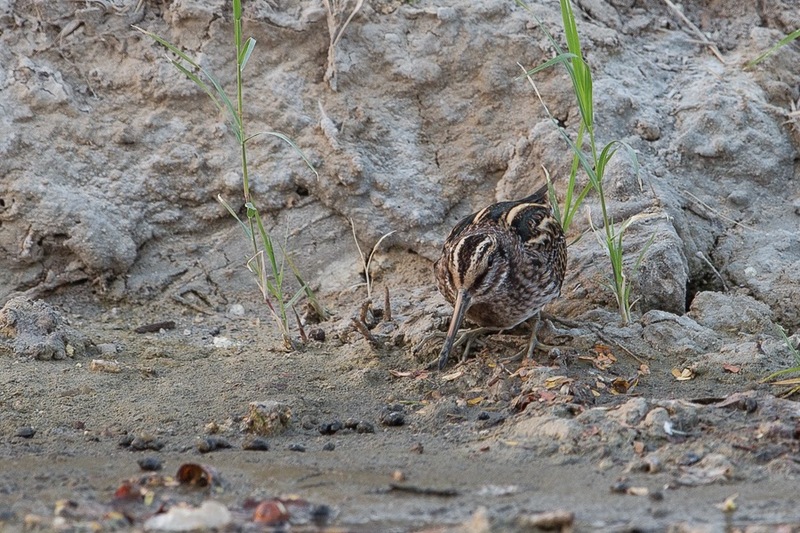 This bird was pretending to be a bit of grass in a small patch of cover by the side of the wet ditch. Initially it was feeding out in the open but at some distance so eventually I tried to move closer to it when it took up it hiding posture, even though there was virtually nothing to hide behind. I took a couple of photos, although the light was not very good, and then left it still hiding in the same place. 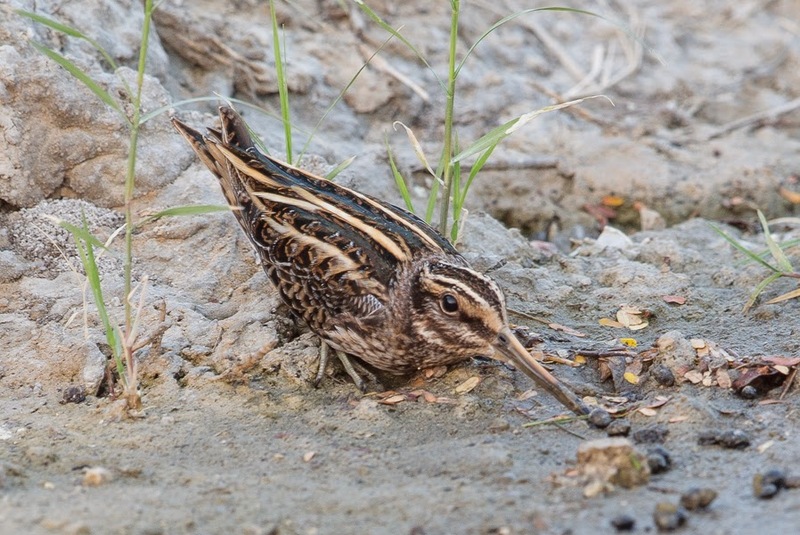 The Jack Snipe is a winter visitor to the Eastern Province of Saudi Arabia where it is scarce in marshy areas away from the coast from early September to early April. In the rest of Saudi Arabia it has been recorded most frequently in the Riyadh and Tabuk area and rarely in the Tihamah in the southwest.